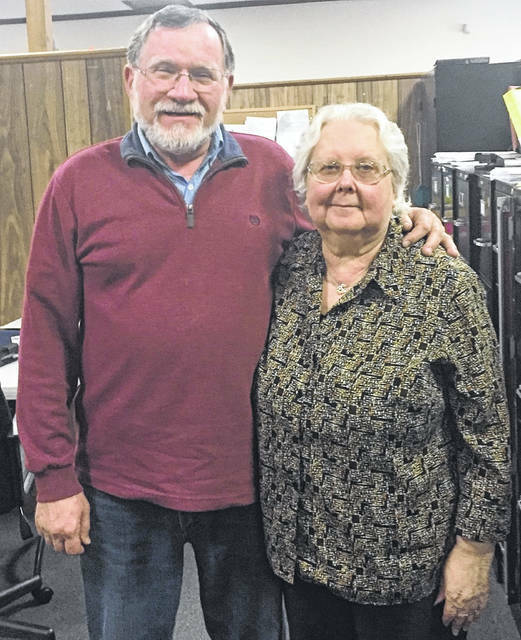 Beverly Furguson was recently recognized at the Clinton County Community Action Program annual Board and Staff Christmas breakfast for serving the agency for 52 years. She works in the Fiscal Department. Randy Riley, Board President who is shown with Beverly, commended her for her years of service to not only the agency but to he community.